If you own either an iPhone or iPod touch along with a Mac computer then Airlock may just be the security OS X application you've been looking for. For only $7.77 you can have a very effective lock for your Mac computer with just your iPhone or iPod touch. How does Airlock work? It's pretty simple, the program determines when you are near your computer. If you leave your computer's Bluetooth reach with your iPhone or iPod touch, your computer locks itself. As soon as you are back within Bluetooth range it unlocks your computer. 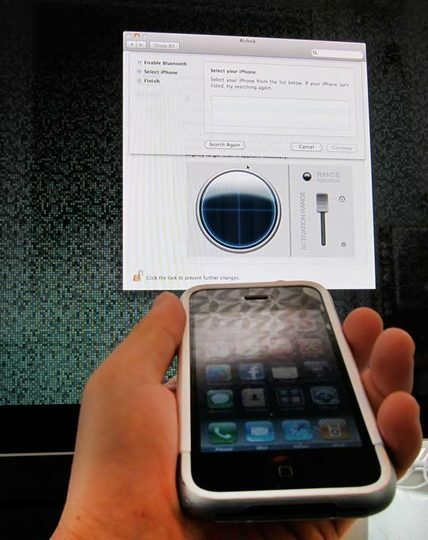 If your iPhone/iPod touch is in a place that is out of range and you need access to your computer, simply set Airlock up to allow for your user name and password to gain access. If any of you give Airlock a try let us know how you like it!